As grassroots community based Advocates, we are often residents of the communities in which we work so we understand the cultural diversity that exists within the community. In addition, we have solid working knowledge of local support services and have developed networks that make this support readily available to the young people and families. We are employed on a fixed-term contract basis to work with young people and their families within their communities. Our work can consist of up to 15 hours, one-to-one contact with the young person every week for six months, depending on the needs of that young person. Activities carried out with the young person are goal-driven and needs-led, based on the strengths of the young person and their family. We can be creative in our approach to working with the young person and families as a flexible and bespoke service is given to each individual. We bring our own unique talents to the work and activities with young people can vary greatly from getting involved in a sport to receiving support around attending school. 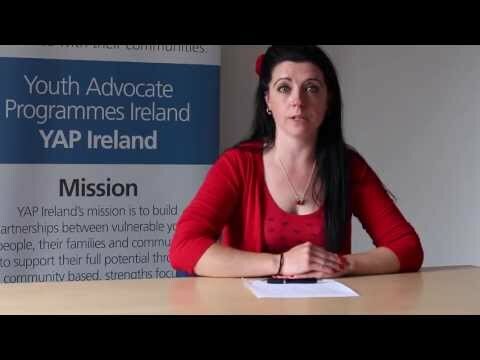 The training and experience gained by us through our employment with YAP Ireland has long-term beneficial outcomes for us and our communities. 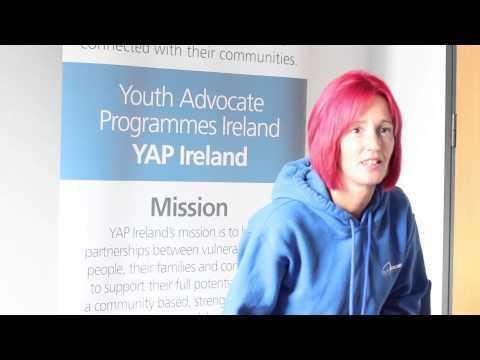 Training consists of 4 full days YAP Core Module Training and two days Child Protection Awareness Training developed in conjunction with the National Youth Council of Ireland. We are fully supported throughout the case by a YAP Team Leader who provides regular supervision and attends all of the reviews on the case. We also have access to a 24 hour on-call service so advice and support is never far away. About three months ago my young person mentioned he would like to do his driving theory test. I thought this was wonderful as my young person can be quite anxious about doing new things and this would be a big step for him. I said lets get practicing straight away. Q: What made you apply to work as a YAP advocate? Q: What experience if any did you have before applying to YAP? Q: What qualities do you feel are important to work as a YAP advocate? Q: The YAP service is tailored to each young person but can you give an example of what you might do in a day, as a YAP advocate? “Young people learn new skills for example how to shop, budget, cook, play snooker, horse ride, play pitch and putt and these activities take them out of their situation that may not be as much fun or relaxed for them. And there are the simple things like cleaning up after themselves and taking responsibility and becoming more assertive and confident and you do see those changes with the young person as you progress. The outcomes booklet is a very useful tool in measuring the young person’s progression from sometimes a shy quiet person to a rounded young person. Q: What training and support do you get when you work as an advocate? Q: What impact do you think you can have on the lives of the young people you work with? Q: Perhaps tell me about a positive outcome that you have encountered working with a Young Person and their family? Q: How would you describe the benefits of the YAP Intensive Support Programme to the young people you work with? Q: What would you say to other people who are considering applying to be YAP advocates? 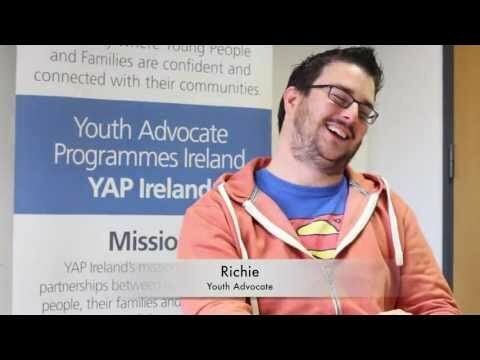 We spoke to Richard who took part in the YAP programme in 2018. 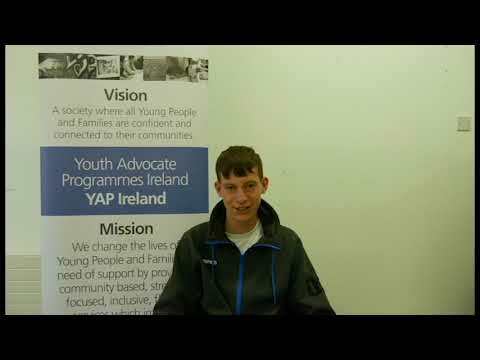 He shared his thoughts on what it was like working with his Advocate and what he'd like other young people to know about YAP.